The worst economic condition of the masses is amongst the farmers of India. In this nation of scams, the biggest scams are with the policies for the farming sector affecting the farmers. At least 65 % of the nations populace are engaged in farming in one way or the other. The suicide rate of the farmers are increasing every day contrary to Government claim that they are giving cheaper loans to the farmers. In the present Central budget of 2013-14 the Government have claimed to give loan of Rs 7 lac crores with a interest of 4% to the agriculture sector. This seems to be very good. The Government has released information that such loans are on the increase from 4.75 lacs crore in 2010, 5.75 lac crore in 2012. But 80% of the farmers want to quit farming and move towards cities indicating that something is wrong somewhere. On investigating it is found that only 6% of the said amount is released to the farmers and rest 94% goes to big Corporate Houses and industrialists in Agricultural sector. Of the 6% released funds for the farmers, major chunk is grabbed by politicians, and bureaucrats leaving 1% for the farmers. This was admitted by the former prime minister RAJIV GANDHI. The major portion of the loan goes to Delhi and Chandigarh in the farming sector. These two states get more loans than given to Jharkhand, Orrisa and Chatisgarh states’ farmers all put together. 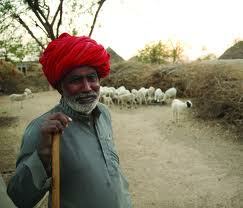 Most of loans are of the tune of 25 crore or more to the farming industry for heavy machinery. The Indian Government wants to follow and copy the American System of Coupon distribution to the poor. So that the subsidy to the farmers reaches them. The Shopkeeper will indirectly get paid through shops by using the Coupons. But it has been established in the USA that the policy has not helped but 5 crore people are poor and the number has swelled in the last decades. The policies of the Indian Government are similar that the Food Corporation of India will not buy the crops but leave the System to the market. The grains will be sold through stock market. It is a well known fact that stock markets are nothing but manipulated by the smart people and grains are shown to be much higher quantities than actual. It is the Corporates who are ruling this world in connivance with politicians and the bureaucrats.